The most interesting time of the year in regards to livestock. It’s the one time of year that all species are having babies and the excitement for this year’s show string is building. 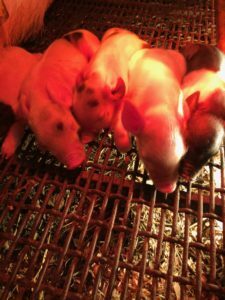 As the end of the show cattle sale season starts to close and baby pig and lamb sales are starting to ramp up, most of the country’s junior showman have their projects picked out. To be successful this summer, it’s important that these juniors understand the three areas that lead to the backdrop: solid genetics, quality feed program, and hard work. 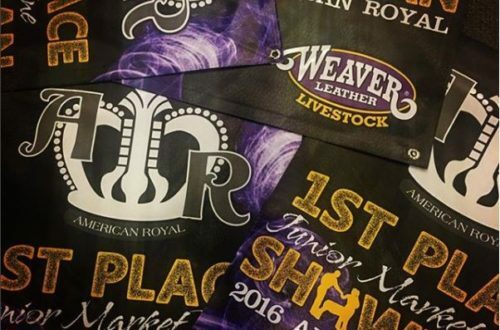 When all three of the key areas to livestock production are at adequate levels, hanging banners is easy. The first of these areas is solid genetics. Genetics are important because they control what you can’t; the most important being structure. An undesirable leg set can’t be fed out or fixed with a set of clippers. Studying livestock evaluation and pedigrees will help you understand how important genetics are to your success. 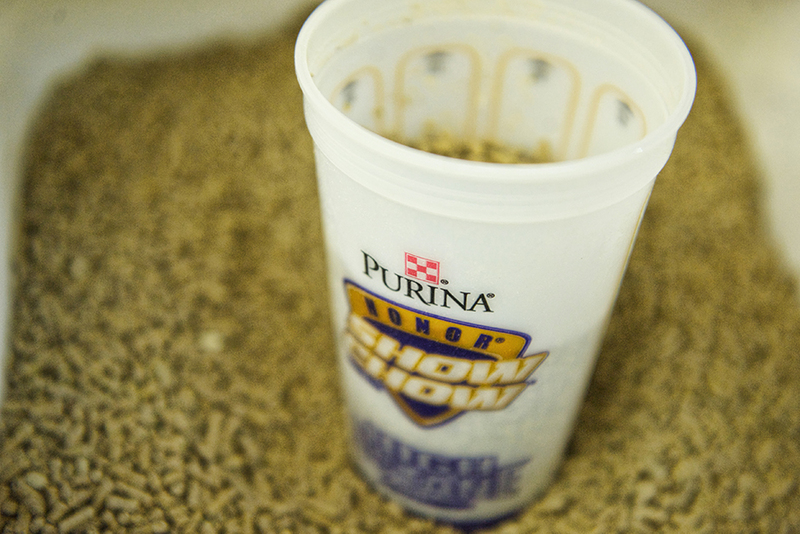 Once you have the right genetics in your barn, it’s time to get them started on the proper nutrition program. 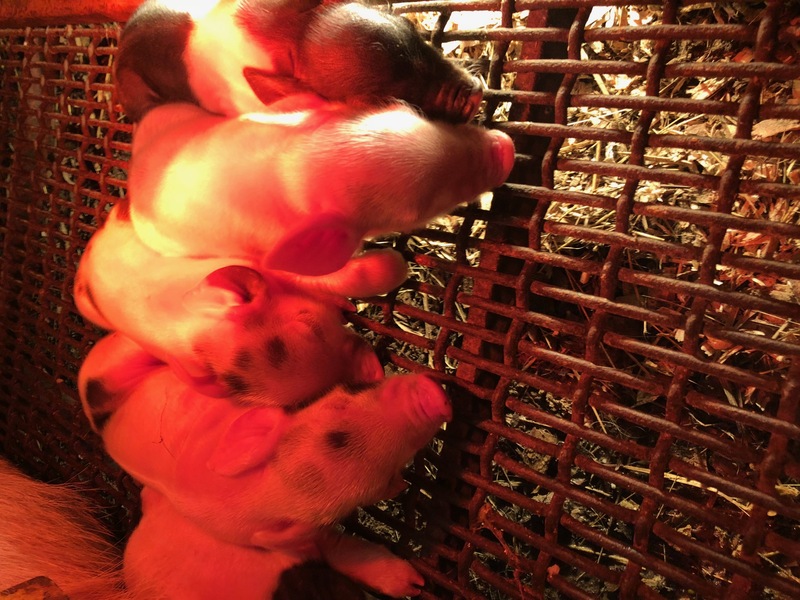 With the right feed and supplements, we can maximize the genetic potential of all s pecies. The key to any good feed program is consistency. Feeding the same feed in the same amounts at the same time each day will ensure good gut health, which in turn improves feed efficiency and optimum nutrient absorption. Feed programs should also be adjusted as the animal grows and develops. Changes in a feed program should be made in small increments over a period of several days. After the project is selected and the feed program in place, it’s time for the last and most critical part: hard work. 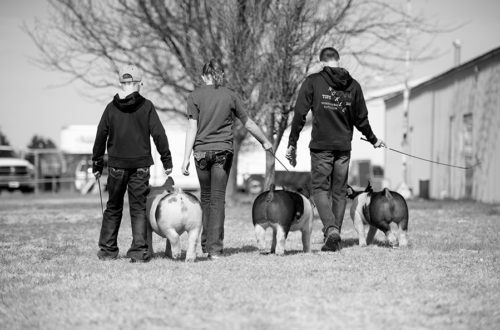 Whether you’ve got show steers, breeding sheep, or market hogs, it will always matter how much work you put in. This work includes cleaning waterers daily, getting up early before school or work to feed, staying up late walking hogs, bracing lambs for hours, rinsing calves twice a day, mucking stalls and providing fresh wood chips. 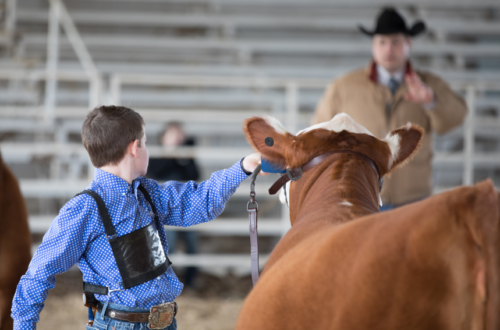 The more time you spend with those animals, the better you will know how that animal will respond in a show ring and how to be prepared for those situations. The one thing I can promise you is that if you are willing to do whatever it takes, you will succeed. All three of these areas are important in their own right, but together they are the keys to winning that purple banner. If you are new to exhibiting livestock, the best advice that I can give is to get to know a local breeder that can become an advisor and mentor. There will be setbacks and roadblocks along your way, but don’t be discouraged. Learn from them and find a way to beat them. Study the genetics, get to know your local feed dealer, and work towards your goal, and I promise that you will reach any goal you set. 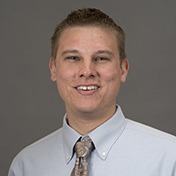 Greg Kirlin resides on his family farming operation in west-central Illinois and is a Feed Sales Representative and Marketing Specialist for a local feed & grain company, Dearwester Grain Services. He uses his passion for livestock production to help local producers reach their goals in both commercial and show stock settings. His brother and he both have a passion for raising and exhibiting purebred Simmental cattle. Greg lives by a quote from Grant Cardone which states “Your greatness is limited only by the investments you make in yourself.” Keeping this quote close, Greg lives each day reaching for success and working towards goals set daily. He hopes to challenge readers to create their own success through passion, determination, and hard work.